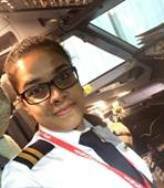 "My training at Skyline commenced in 2006 and I was with them for over 3 years as a PPL and CPL/IR student, as well as a Ground Instructor. 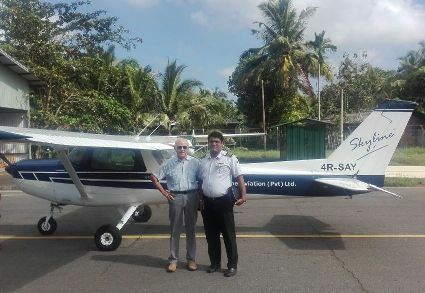 My sincere gratitude to the then Engineering team of Mr. Lalith Silva, Nihal and Lal Alahakoon for their immense support and commitment to keep the aircraft serviceable to the best of their ability." "The parents have an important responsibility during the entire period of training to have an intimate relationship with both the candidate and the management of the training school. It is this partnership role play that will deliver fruitful results." "Skyline is one of those schools where student needs are given priority above all else. No compromises are made as training is done to a higher standard than required, with instructors that are truly a cut above the norm. 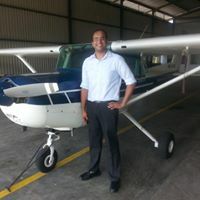 I thoroughly enjoyed my time spent at Skyline Aviation and and truly grateful that I chose Skyline Aviation as the stepping-stone tp my aviation career." 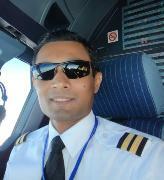 "I'm currently working as First Officer at VietJet Air in Vietnam. I was able to reach this achievement because of the strong start and root of my aviation career, which was Skyline Aviation. When I first stepped into Skyline, I felt 'this is the best', seeing the friendly and helpful staff and relaxed atmosphere. 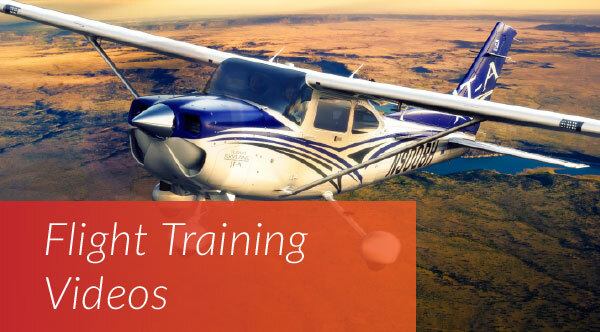 I decided to complete my entire flight training with them and I got the PPL, CPL/IR and Frozen ATPL efficiently and quickly from Skyline Aviation. When I look back at the days of my flight training, I'm happy to say that Skyline offered me training with well-qualified, experienced flight instructors. Also, the staff were courteous, professional and thorough, and they backed me at every stage of my flight training as a family. I would highly recommend that if you want great training with an amazing staff who are like family, Skyline Aviation is the best place to start your aviation career." "It took a longer time for our son to complete his course at Skyline, but the effort by all at Skyline has paid off as he is now employed as a first officer in a regional airline. There are no shortcuts in training and I would like to thank Skyline for the discipline and safety inculcated at the time of training." Skyline's customized approach, to find a best fit with my scheduling and study needs, set them apart from the other academies that I had been in contact with. The professionalism of the high calibre instructors, both at ground school and flight training, provided the right balance between instruction, experience and challenge to plot an optimal progress path. A well run organization with an exceptional team - highly recommend! "A little time has gone by since my happy time flying with Christopher.We had great weather and a very nice flight; an amiable amble along the coast and inland with Chis as usual demonstrating lots of new things about the aircraft which is all valuable stuff at this stage for my limited data base. He is a great instructor and it is always good to see someone so completely master his machine as he does. 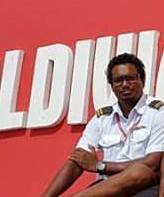 Thereafter, I flew (as a passenger) in a Trans Maldivian Airways twin otter float plane and both pilots were Sri Lankan, the first officer being a graduate of Skyline. Here's to the next time at Katukurunda!"